J.J. Watt re-injured his finger on Thursday night in Cincinnati. 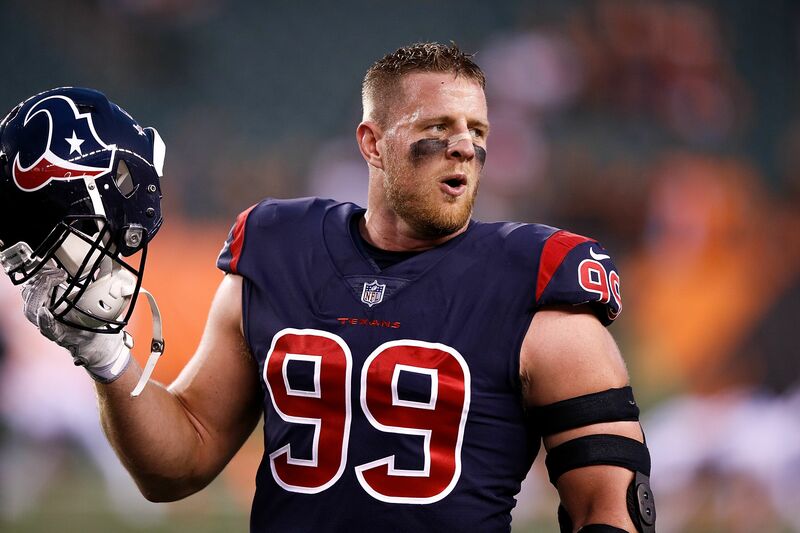 J.J. Watt’s finger injury just got a little worse. During the last three plays of Houston’s 13-9 win over the Bengals on Thursday night, Watt re-aggravated an injury to his left ring finger. Watt has shared a diagnosis but told reporters after the game that it “is pretty messed up” (h/t ESPN). One thing is certain though, Watt’s going to be glad that the Texans have a few extra days off before their Week 3 game against the Patriots. Watt first injured his finger in the Week 1 loss to Jacksonville. He was taken to the locker room shortly before the half, but returned for the second half. Luckily for the team, it’s only Watt’s finger. Watt missed all but three games in 2016 due to a back injury. With 20 players already on the injury report, the Texans could not afford to keep Watt out of the Bengals game. Especially considering that both of the Texans’ starting cornerbacks were injured against the Bengals, as well. Watt, a defensive leader for the Texans, toughed it out. It’s still early in the season, but injuries are already to beginning to plague the Texans. The team has fielded just three healthy receivers in each of its two games. Additionally, each of the three tight ends was out against Cincinnati with an injury. Most recently, cornerback Kevin Johnson was pronounced out for 4-6 weeks with a knee injury. Bill O’Brien and his staff have their work cut out for them in coming weeks, replacing key players on both sides of the ball. Although the severity of his finger injury has yet to be announced, it is unlikely Watt will miss any time. The Texans travel to New England next week to take on the Patriots.